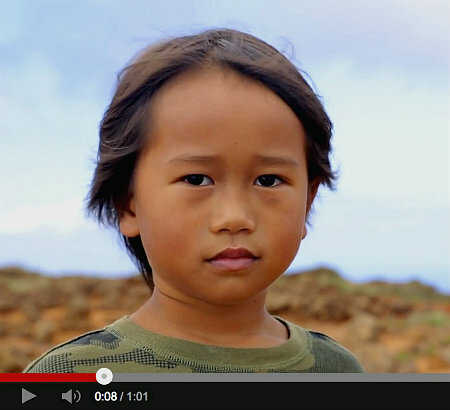 This child’s family does not want their ancestral Hawaiian island devastated by wind turbines. Click anywhere, below, to watch a powerful video. Google South Point Hawaii and view some of the awful videos and the destruction. While the estimated 14000 or so old abandoned wind turbines sit and rot in the USA the newer better more expensive ones will be rising into the stratosphere. Of course, the new ones will be just as good as their old predecessors at delivering a profit to the wind companies from the continuing generous government tax subsidies, they will keep on destroying the landscape, kill wildlife and harm humans. The price of electricity will continue to skyrocket and these newer megalithic wind turbine factories will not add an iota of power to the grid, nor will any nuclear power, coal, gas or hydro plants be decommissioned either.